How to avoid duplicated sale items when importing price books – Welcome to the NextMinute support and feedback centre. 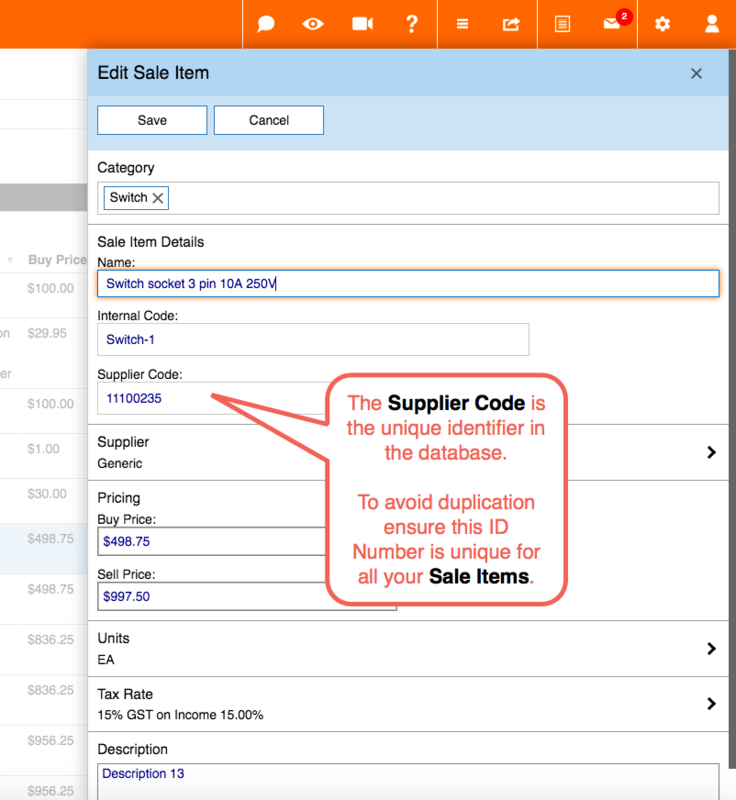 A sale item gets updated when imported, if the supplier code from the import, matches an existing record in the database with the same supplier code. If there is no match or the supplier code is blank, a new record is created. When importing your sale items price books, ensure that the Supplier Code is a unique ID. By doing so you will avoid any duplicating line items during the import process.